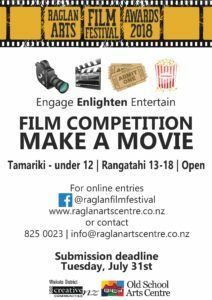 The 2015 RAFFA (Raglan Arts Film Festival Award) awards ceremony will be held on 19th September at the Raglan Old School Arts Centre. Free screenings in the Theatre Room during the Creative Market. 9pm: Avalanche City – “Inside Out”, Kühl, The Ultimate Waterman. Entry by koha for all Wednesday sessions. 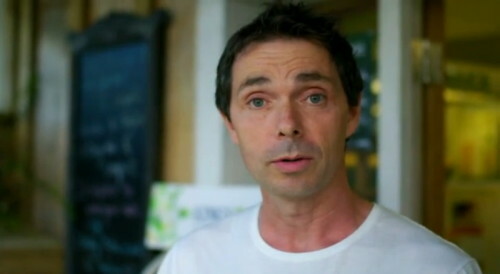 Watch the episode at TVNZ On Demand. Producers Ken Soanes and Mike O’Neill interview Raglan locals about their relatives’ involvement in World War I. 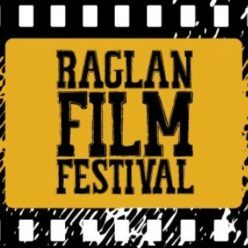 This short but highly informative documentary about Raglan’s war-time history commemorates the centenary of World War I. This film was previously part of a special display at the Raglan Museum. To the music of his song “Saint Jude”, British musician Albert Ross goes in search of the perfect surprise for the subject of his song. 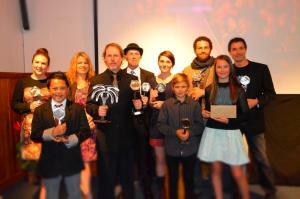 Produced with the help of many friendly Raglan locals. Musician Tiki Taane teams up with kids from Raglan Area School to help save the endangered Maui Dolphin. A captivating documentary about the journey of a taonga from Aotearoa, and its final repatriation after years abroad. This story is both fascinating and deeply relevant to understanding the past and present realities in New Zealand. Whenua is about the connection between the people and the land, in the context of an informal gathering.